Hosting an Under the Sea themed party? 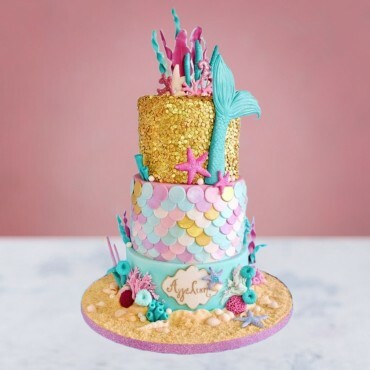 This Little Mermaid inspired Birthday cake will make a real splash with your guests. 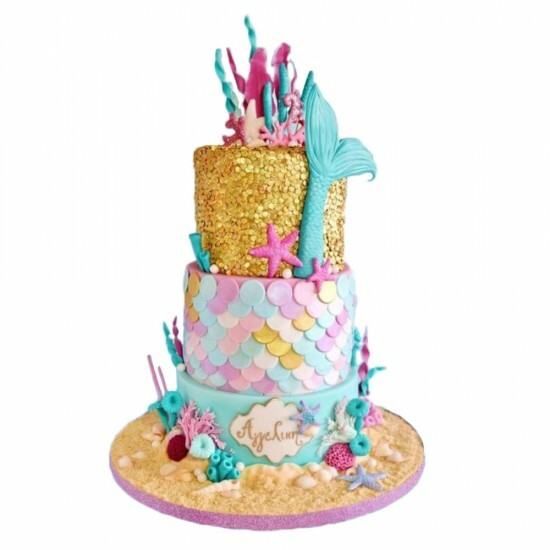 Three layers of delicious cake are decorated with edible shells, corals, scales, tails and starfish for a perfect birthday cake.